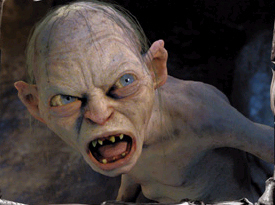 Gollum. Bad day?. Wallpaper and background images in the द लॉर्ड ऑफ द रिंग्स club tagged: gollum two towers lord of the rings image. Leave no and neverrrrr come back!! !